Authentic, New Orleans-style snoballs with a beachy, island twist! Over 65 flavors (including natural and sugar free options), a variety of toppings and our famous SPIKED SNOBALLS – spike your snoball with vodka, rum or tequila for that extra kick! 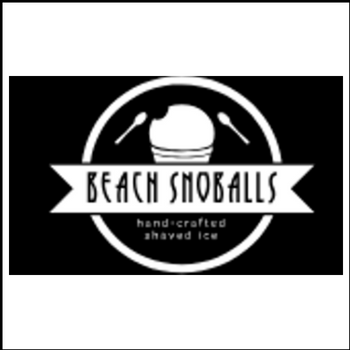 All of our snoballs are hand-crafted so you can enjoy the softest, juicest gourmet shaved ice on the beach!